This is not an empty phrase, but our deep conviction. Digital business models and solutions will only be generally accepted if everyone has the rights to his/her data at all times. Accordingly, you will not find a legal, covert data protection declaration on this page, but plain text. We inform customers and interested parties 4 to 6 times a year. That?s it! We’ll let you know when we have something to say. 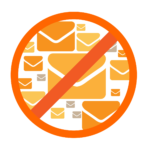 Otherwise: No tormenting newsletters, no spam. We are not interested in your shoe size or your shopping behaviour with other services. We collect only the data that will help us to provide you with relevant specialist information. We do not create mystical profiles or perform mysterious analyses. All to the top of my head. Also on the short official way: By Mail or you use nevertheless simply the live Chat. We tell you why we collect data, what happens to your data and how quickly you can say “no”. If you have a little more time, please also read our detailed data protection declaration on this page. Data you provide us with will be used to send you relevant information. For example, if you tell us that you work in your company’s idea management, we will send you technical information that is relevant to you. We use automatically collected data to ensure error-free provision of our website and to optimize its content. To this end, we analyse user behaviour in anonymised form. On the one hand, your data is collected when you communicate it to us. This can be, for example, data that you enter in a contact form or leave behind when calling up specialist information. Other data is automatically collected by our IT systems when you visit our website. These are mainly technical data (e.g. Internet browser, operating system or time of page visit). Which third-party analysis tools and tools do we use? We want you to find relevant information when you visit our website. For this purpose, we statistically evaluate the surfing behaviour of our users. This is done primarily with cookies and the following analysis and service programs: Google Analytics, Google Adwords, HubSpot, Luckyorange and tawk.to. You may object to this analysis or prevent it by not using certain tools. We recommend Ghostery (https://www.ghostery.com) as a blocker. Please note that some features on our website are blocked by Ghostery. Simply use the contact information found at https://www.innolytics.de/kontakt/. All! You are a woman or master of your data. And we do not want to send you any information that is irrelevant to you. You will receive information about the origin, recipient and purpose of your stored personal data free of charge at any time. We correct erroneous data immediately and block or delete all data. You can contact us whenever you have questions at info@innolytics.de or the address given in the imprint. Florian Schreiner, Innolytics GmbH, has been appointed head of data processing at the responsible office. You can reach Florian Schreiner at info@innolytics.de. As far as personal data (for example names, functions or e-mail addresses) are collected on our websites, this is done on a voluntary basis. For marketing and website optimization purposes, we collect navigation information from website visitors. These are data about your visit to our website, in particular your IP address, your operating system, your device type (e.g. desktop, mobile), referral source, the length of your visit and the pages you opened. Customer data, in particular contact data, such as telephone, fax and e-mail data, contact history and other data necessary for contract fulfilment. The legislator has enacted a variety of storage obligations and periods. After expiry of these periods, the corresponding data is routinely deleted. We give users of innolytics.de the opportunity to comment on selected blog posts. In the context of the comment function, we collect personal data (e.g. name, e-mail) in the context of your comment function for a contribution only to the extent to which you have communicated it to us. When a comment is published, the e-mail address you entered is saved but not published. Your name will be published if you have not written under a pseudonym. Google Remarketing” and “Similar target groups” function of Google Inc. This website uses the remarketing or “similar target group” function of Google Inc, 1600 Amphitheatre Parkway, Mountain View, CA 94043, United States (“Google”). You can be targeted with advertising by placing personalized and interest-based ads when you visit other websites in the so-called “Google Display Network”. “Google Remarketing” or the function “Similar target groups” uses so-called “cookies”, text files which are stored on your computer and which enable an analysis of your use of the website. These text files are used to record your visits and anonymous data about the use of the website. Personal data will not be stored. If you visit another website in the so-called “Google Display Network”, you may see advertisements that most likely take into account product and information areas previously accessed on our website. Contact: HubSpot, 2nd Floor 30 North Wall Quay, Dublin 1, Ireland, phone: +353 1 5187500, subject to TRUSTe’s Privacy Seal and the U.S. – EU Safe Harbor Framework and the U.S. – Swiss Safe Harbor Framework. When you visit our pages, the plugin establishes a direct connection between your browser and the Facebook server. Facebook receives the information that you have visited our site with your IP address. If you click the Facebook “Like” button while logged into your Facebook account, you can link the contents of our pages on your Facebook profile. This allows Facebook to associate the visit to our pages with your user account. We would like to point out that, as the provider of the pages, we have no knowledge of the content of the data transmitted or of their use by Facebook. For more information, please see Facebook’s privacy statement at http://de-de.facebook.com/policy.php. 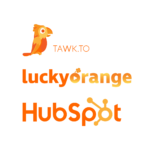 This site uses the Lucky Orange Analysis Service to improve usability and customer experience. Mouse clicks as well as mouse and scroll movements can be recorded. Keystrokes made on this website can also be recorded. However, the recording is not personified and therefore remains anonymous. Lucky Orange does not record this data on sites that do not use the Lucky Orange system. 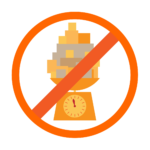 You can deactivate the Lucky Orange service via http://www.luckyorange.com/disable.php. Note, however, that this measure will also disable other features such as 1-to-1 Support Chat. On our site we use social plugins of the social network Pinterest, which is operated by Pinterest Inc. 635 High Street, Palo Alto, CA, 94301, USA (“Pinterest”). When you access a page that contains such a plugin, your browser establishes a direct connection to Pinterest’s servers. The plugin transfers protocol data to Pinterest’s server in the USA. This log information may include your IP address, the address of the sites you visit, which may also include pinterest features, the type and settings of your browser, the date and time of your request, your use of Pinterest, and cookies. Our website uses functions of the XING network. The provider is XING AG, Dammtorstrasse 29-32, 20354 Hamburg, Germany. Every time you visit one of our pages that contains functions of Xing, a connection to Xing servers is established. To our knowledge, personal data will not be stored. In particular, no IP addresses are stored or the usage behavior is evaluated. If you would like to receive regular specialist information, we need an e-mail address from you as well as information that allows us to verify that you are the owner of the e-mail address provided and that you agree to receive the specialist information. Further data will not be collected or only on a voluntary basis. We use these data exclusively for the dispatch of the requested information and do not pass these on to third parties. The data entered in the application form will be processed exclusively on the basis of your consent (Art. 6 para. 1 lit. a DSGVO). You can revoke your consent to the storage of the data, the e-mail address and its use for sending specialist information at any time, for example via the “unsubscribe” link in every e-mail. The legality of the data processing processes already carried out remains unaffected by the revocation. The data stored by you for the purpose of obtaining specialist information from us will be stored by us until it is removed from the mailing list and deleted after the specialist information has been removed. Data stored by us for other purposes (e.g. e-mail addresses for the community area) remain unaffected by this. We use the service provider HubSpot to manage the technical information and create landing pages. Registration for our specialist information takes place in a so-called double opt-in procedure. This means that after registration you will receive an e-mail asking you to confirm your registration. This confirmation is necessary so that no one can log in with other e-mail addresses. We use the e-mail marketing service “HubSpot”. If you use an offer on our website that requires you to enter your e-mail address, it may be stored on HubSpot’s servers. 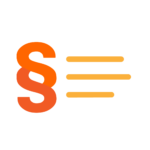 HubSpot is subject to the TRUSTe’s Privacy Seal and the U.S. – EU Safe Harbor Framework and the U.S. – Swiss Safe Harbor Framework. See notes under 4. 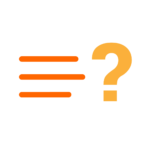 The newsletters contain a so-called “web-beacon”, i.e. 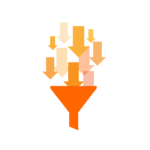 a pixel-sized file that is retrieved from the HubSpot server when the newsletter is opened. Within the scope of this retrieval, technical information, such as information about the browser and your system, as well as your IP address and time of retrieval are initially collected. This information is used to technically improve the services based on the technical data or the target groups and their reading behaviour based on their retrieval locations (which can be determined using the IP address) or access times. The statistical surveys also include determining whether the newsletters are opened, when they are opened and which links are clicked. For technical reasons, this information can be assigned to the individual newsletter recipients. However, it is neither our intention, nor that of HubSpot, to observe individual users. The evaluations serve us much more to recognize the reading habits of our users and to adapt our contents to them or to send different contents according to the interests of our users. 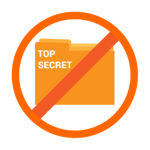 This site uses SSL or TLS encryption for security reasons and to protect the transmission of confidential content, such as orders or requests that you send to us as the site operator. You can recognize an encrypted connection by the fact that the address line of the browser changes from “http://” to “https://” and by the lock symbol in your browser line. If SSL or TLS encryption is activated, the data you transmit to us cannot be read by third parties. For the sake of form, we would like to point out that data transmission over the Internet (e.g. communication by e-mail) may be subject to security gaps. A complete protection of data against access by third parties is not possible.